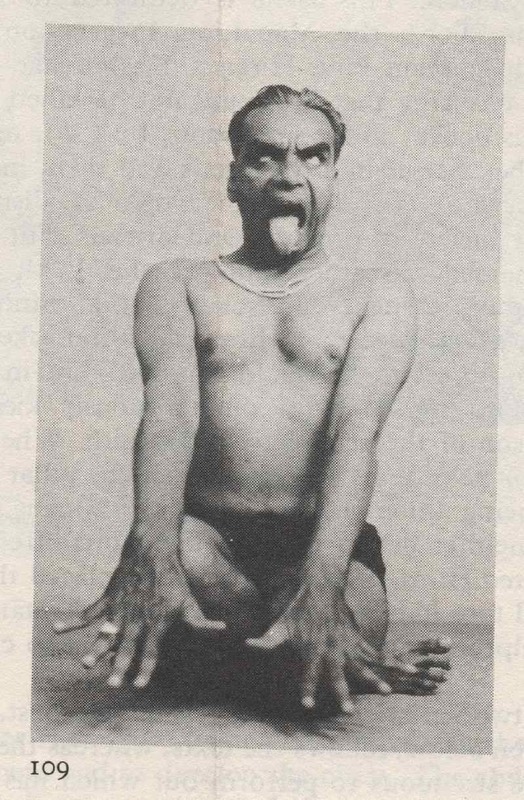 · With continued practice speech becomes clearer making Simhasana a beneficial exercise for individuals who stammer or have Parkinson’s Disease. Kneel on the floor and cross your right ankle over your left behind you. Sit back and allow your perineum to rest on the top of your right heel. Press your palms against your knees and spread your fingers wide. Inhale through your nose, open your mouth wide, stick out your tongue, and curl the tip down toward your chin. At the same time, open your eyes wide, focus on the spot between your eyebrows, and exhale with a loud “ha” sound. Do this three times, then switch the cross of your legs and repeat three more times. Sit in a chair with your knees directly above your ankles and your feet flat on the floor. Continue with above instructions.